In Volume One of Anarchism: A Documentary History of Libertarian Ideas, subtitled From Anarchy to Anarchism (300CE-1939), I included excerpts from Kropotkin’s well known essay, Law and Authority (Selection 52), in which he presents an anarchist critique of the law and the criminal justice system. 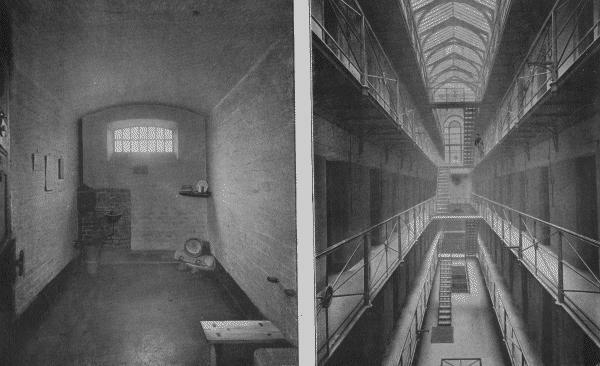 While he touches on the anarchist view of prisons as “schools of crime” which create more harm than good, it is in his other essay, Prisons and Their Moral Influence on Prisoners (1886), that he presents the anarchist case against the prison system, and in his book, In Russian and French Prisons (1887), much of which was written while Kropotkin himself was in the French prison in Clairvaux for his revolutionary activities (see my previous post, Manifesto of the Anarchists: Lyon 1883). Once a man has been in prison, he will return. It is inevitable, and statistics prove it. The annual reports of the administration of criminal justice in France show that one-half of all those tried by juries and two-fifths of all those who yearly get into the police courts for minor offences received their education in prisons. Nearly half of all those tried for murder and three-fourths of those tried for burglary are repeaters. As for the central prisons, more than one-third of the prisoners released from these supposedly correctional institutions are reimprisoned in the course of twelve months after their liberation. So long as you deprive a man of his liberty, you will not make him better. You will cultivate habitual criminals: that is what I shall now prove. To begin with, there is the fact that none of the prisoners recognize the justice of the punishment inflicted on them. This is in itself a condemnation of our whole judicial system. Speak to an imprisoned man or to some great swindler. He will say. “The little swindlers are here but the big ones are free and enjoy public respect.” What can you answer, knowing the existence of great financial companies expressly designed to take the last pennies of the savings of the poor, with the founders retiring in time to make good legal hauls out of these small fortunes? We all know these great stock issuing companies with their Iying circulars and their huge swindles. What can we answer the prisoner except that he is right? And what inspiration can a prisoner get to work for the common good, deprived as he is of all connections with life outside? By a refinement of cruelty, those who planned our prisons did everything they could to break all relationships of the prisoner with society. In England the prisoner’s wife and children can see him only once every three months, and the letters he is allowed to write are really preposterous. The philanthropists have even at times carried defiance of human nature so far as to restrict a prisoner from writing anything but his signature on a printed circular. The best influence to which a prisoner could be subjected, the only one which could bring him a ray of light, a softer element in his life — the relationship with his kin — is systematically prevented. In prisons as in monasteries, everything is done to kill a man’s will. He generally has no choice between one of two acts. The rare occasions on which he can exercise his will are very brief. His whole life is regulated and ordered in advance. He has only to swim with the current, to obey under pain of severe punishment. Under these conditions all the will power that he may have had on entering disappears. And where will he find the strength with which to resist the temptations which will arise before him, as if by magic, when he is free-of the prison walls? Where will he find the strength to resist the first impulse to a passionate outbreak, if during several years everything was done to kill this inner strength, to make him a docile tool in the hands of those who control him? This fact is, according to my mind, the most terrible condemnation of the whole penal system based on the deprivation of individual liberty. The origin of this suppression of individual will, which is the essence of all prisons, is easy to see. It springs from the desire of guarding the greatest number of prisoners with the fewest possible guards. The ideal of prison officials would be thousands of automatons, arising, working, eating and going to sleep by means of electric currents switched on by one of the guards. Economies might then be made in the budget, but no astonishment should be expressed that men, reduced to machines, are not, on their release, the type which society wants. As soon as a prisoner is released, his old companions await him. He is fraternally received and once again engulfed by the current which once swept him to prison. Protective organizations can do nothing. All that they can do to combat the evil influence of the prison is to counterbalance some of those results in the liberated men. During all his prison life the prisoner is subjected to treatment which shows the greatest contempt of his feelings. A prisoner is not accorded the single respect due a human being. He is a thing, a number, and he is treated like a numbered thing. If he yields to the most human of all desires, that of communicating with a comrade, he is guilty of a breach of discipline. Before entering prison he may not have lied or deceived, but in prison he will learn to lie and deceive so that it will become second nature to him. And it goes hard with those who do not submit. If being searched is humiliating, if a man finds the food distasteful, if he shows disgust in the keeper’s trafficking in tobacco, if he divides his bread with his neighbour, if he still has enough dignity to be irritated by an insult, if he is honest enough to be revolted by the petty intrigues, prison will be a hell for him. He will be overburdened with work unless he is sent to rot in solitary confinement. The slightest infraction of discipline will bring down the severest punishment. And each punishment will lead to another. He will be driven to madness through persecution. He can consider himself lucky to leave prison otherwise than in a coffin. It is easy to write in the newspapers that the guards must be carefully watched, that the wardens must be chosen from good men. Nothing is easier than to build administrative utopias. But man will remain man — guard as well as prisoner. And when these guards are condemned to spend the rest of their lives in these false positions, they suffer the consequences. They become fussy. Nowhere, save in monasteries or convents, does such a spirit of petty intrigue reign. Nowhere are scandal and tale-bearing so well developed as among prison guards. You cannot give an individual any authority without corrupting him. He will abuse it. He will be less scrupulous and feel his authority even more when his sphere of action is limited. Forced to live in any enemy’s camp, the guards cannot become models of kindness. To the league of prisoners there is opposed the league of jailers. It is the institution which makes them what they are — petty, mean persecutors. Put a Pestalozzi [renowned Swiss pedagogue] in their place and he will soon become a prison guard. Quickly rancour against society gets into the prisoner’s heart. He becomes accustomed to detesting those who oppress him. He divides the world into two parts — one in which he and his comrades belong, the other, the external world, represented by the guards and their superiors. A league is formed by the prisoners against all those who do not wear prison garb. These are their enemies and everything that can be done to deceive them is right. Until now, penal institutions, so dear to the lawyers, were a compromise between the Biblical idea of vengeance, the belief of the middle ages in the devil, the modern lawyers’ idea of terrorization, and the idea of the prevention of crime by punishment. It is not insane asylums that must be built instead of prisons. Such an execrable idea is far from my mind. The insane asylum is always a prison. Far from my mind also is the idea, launched from time to time by the philanthropists, that the prison be kept but entrusted to physicians and teachers. What prisoners have not found today in society is a helping hand, simple and friendly, which would aid them from childhood to develop the higher faculties of their minds and souls — faculties whose natural development has been impeded either by an organic defect or by the evil social conditions which society itself creates for millions of people. But these superior faculties of the mind and heart cannot be exercised by a person deprived of his liberty, if he never has choice of action. The physicians’ prison, the insane asylum, would be much worse than our present jails. Human fraternity and liberty are the only correctives to apply to those diseases of the human organism which lead to so-called crime. Of course in every society, no matter how well organized, people will be found with easily aroused passions, who may, from time to time, commit anti-social deeds. But what is necessary to prevent this is to give their passions a healthy direction, another outlet. Today we live too isolated. Private property has led us to an egoistic individualism in all our mutual relations. We know one another only slightly; our points of contact are too rare. But we have seen in history examples of a communal life which is more intimately bound together — the “composite family” in China, the agrarian communes, for example. These people really know one another. By force of circumstances they must aid one another materially and morally. Family life, based on the original community, has disappeared. A new family, based on community of aspirations, will take its place. In this family people will be obliged to know one another, to aid one another and to lean on one another for moral support on every occasion. And this mutual prop will prevent the great number of anti-social acts which we see today. It will be said, however, there will always remain some people, the sick, if you wish to call them that, who constitute a danger to society. Will it not be necessary somehow to rid ourselves of them, or at least prevent their harming others? No society, no matter how little intelligent, will need such an absurd solution, and this is why. Formerly the insane were looked upon as possessed by demons and were treated accordingly. They were kept in chains in places like stables, riveted to the walls like wild beasts. But along came Pinel, a man of the Great Revolution, who dared to remove their chains and tried treating them as brothers. “You will be devoured by them,” cried the keepers. But Pinel dared. Those who were believed to be wild beasts gathered around Pinel and proved by their attitude that he was right in believing in the better side of human nature even when the intelligence is clouded by disease. Then the cause was won. They stopped chaining the insane. Then the peasants of the little Belgian village, Gheel, found something better. They said: “Send us your insane. We will give them absolute freedom.” They adopted them into their families, they gave them places at their tables, chance alongside them to cultivate their fields and a place among their young people at their country balls. “Eat, drink, and dance with us. Work, run about the fields, and be free.” That was the system, that was all the science the Belgian peasant had. (I am speaking of the early days. Today the treatment of the insane at Gheel has become a profession and where it is a profession for profit, what significance can there be in it? ) And liberty worked a miracle. The insane became cured. Even those who had incurable, organic lesions became sweet, tractable members of the family like the rest. The diseased mind would always work in an abnormal fashion but the heart was in the right place. They cried that it was a miracle. The cures were attributed to a saint and a virgin. But this virgin was liberty and the saint was work in the fields and fraternal treatment. At one of the extremes of the immense “space between mental disease and crime” of which Maudsley speaks, liberty and fraternal treatment have worked their miracle. They will do the same at the other extreme. The prison does not prevent anti-social acts from taking place. It increases their numbers. It does not improve those who enter its walls. However it is reformed it will always remain a place of restraint, an artificial environment, like a monastery, which will make the prisoner less and less fit for life in the community. It does not achieve its end. It degrades society. It must disappear. It is a survival of barbarism mixed with Jesuitical philanthropy. The first duty of the revolution will be to abolish prisons — those monuments of human hypocrisy and cowardice. Anti-social acts need not be feared in a society of equals, in the midst of a free people, all of whom have acquired a healthy education and the habit of mutually aiding one another. The greater number of these acts will no longer have any raison d’être. The others will be nipped in the bud. As for those individuals with evil tendencies whom existing society will pass on to us after the revolution, it will be our task to prevent their exercising these tendencies. This is already accomplished quite efficiently by the solidarity of all the members of the community against such aggressors. If we do not succeed in all cases, the only practical corrective still will be fraternal treatment and moral support. This is not Utopia. It is already done by isolated individuals and it will become the general practice. And such means will be far more powerful to protect society from anti-social acts than the existing system of punishment which is an ever fertile source of new crimes. Jean Grave (1854-1939) was a prominent anarchist communist active in France. 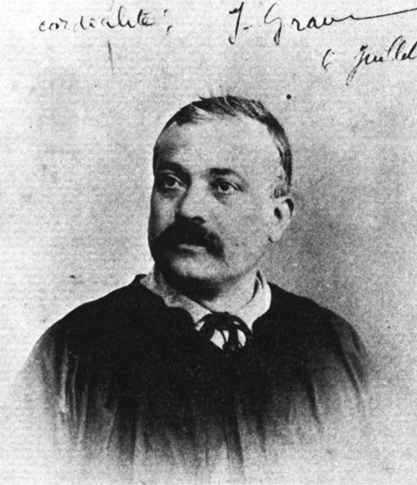 He became editor of the anarchist paper, Le Révolté, in 1883 after Kropotkin was imprisoned following the Lyon trial of the anarchists (see the Manifesto of the Anarchists: Lyon, 1883). Grave changed the name of the paper to La Révolte in 1887. That paper was suppressed and Grave imprisoned by the French authorities in 1894, shortly after Grave published Moribund Society and Anarchy in 1893, from which the following excerpts are taken. The translation is by the American anarchist, Voltairine de Cleyre (1866-1912). The anarchist rejection of the ideology of the so-called “rule of law” was something that distinguished them from other revolutionary currents. Grave’s critique is reminiscent of the earlier critique developed by William Godwin (Anarchism: A Documentary History of Libertarian Ideas, Volume One, Selection 51), although it is doubtful that Grave was familiar with Godwin’s work. 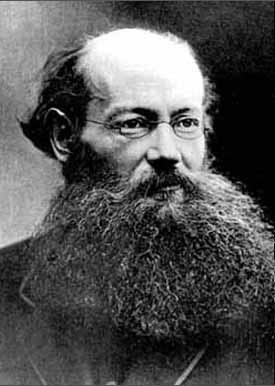 Kropotkin developed a more sophisticated analysis of law in a variety of publications, including his essay, Law and Authority (excerpted as Selection 52 in Anarchism, Volume One), where he argues that for the ideology of the “rule of law” to be widely accepted, the law must incorporate certain accepted social mores, such as prohibitions against murder, in order for specific laws benefitting the ruling classes to be accorded any legitimacy. Authority, as we have seen, springs from that right which arrogates force to itself. But man having widened the field of his thought it became necessary for this authority to justify its existence. Combining with religious sentiment and the support of the priests, it claimed to be of divine origin, assumed the form of an exclusive caste, and eventually succeeded in resisting the brutal power of the king and the nobles: thus the magistracy was founded. And when the bourgeoisie seized power, in 1789, they took care not to destroy this pillar of social order. (Moreover, did not the nobility of gowns belong much more properly to the bourgeoisie than to the nobility of the sword?) They were thus relieved of the task of searching for a mode of recruit more in accord with the new aspirations. But we who are not satisfied with words, when we try to find out what the workers have gained by this transformation, see that they have got just one more duping. In fact, in the time of the absolute monarchy, when the king and the nobles constrained the peasant to serve them, there was no way of deceiving oneself about it; the formula “for such is our good pleasure” showed whence they derived their rights: they claimed them by the right of the sword only, counting much more upon that than the divine will; consequently it was upon force that their claim was based. Their orders were obeyed, their claims were submitted to, but because the people were in no condition to resist them. There were at least no imbeciles to come and say to us – repeating the phrases of the interested – that we must obey because it is “the law,” and it is the duty of everyone to conform thereto until it be changed. In our society it is otherwise. These laws seem to be made to be violated; because those who made them consulted only their personal preferences, the interests of those whom they represented, and the average degree of moral evolution in their epoch, without taking into account the character, tendencies, and affinities of those who were to submit to them — which, moreover, would be impossible, the diversity of individual character and tendencies being given. Each estate has its laws; nor can there be any single and universal law in sociology, as there is in physics, under penalty of its becoming arbitrary and inapplicable. In fact there is not, in our society, a single law which does not injure some of its members, either in their material interests or their ideas; not a single law which each triumphant party has not been able to turn against its adversaries. Power once obtained, every illegal party becomes legal, for it is that party which, through its creatures, administers the “law.” We may then conclude that the law being nothing but the will of the strongest, one is obliged to obey it only when too weak to resist it; that nothing really legitimizes it, and that this famous “legality” is only a question of more or less force. So when these rogues oppose the workers with their supreme argument, “legality,” the latter may laugh in their faces and ask if anyone ever came to consult the toilers about the making of those laws. And even if the people should have adhered to these laws for a time, the latter could have no effectiveness except so long as those who accepted them continued to believe them useful, and were willing to conform to them. It would be funny if under the pretext that at a given moment of our life we had agreed to a certain line of conduct, we were forced to adopt it for the rest of our existence, without being able to modify it, because to do so would be to displease a certain number of persons who, for one cause or another finding profit for themselves in the existing order, would like to crystallize their present condition. But what is more ridiculous still, is the desire to subject us to the laws of past generations, the pretence that we should believe we owe respect and obedience to the fancies which it pleased certain nincompoops to codify and set up as laws fifty years ago! The presumption of wanting to enslave the present to the conceptions of the past! At this point we hear the recriminations of all the makers of laws and those that get their living out of them; they naively fall into line and cry out with the others that society could not exist if there were no longer any laws; that people would be cutting each other’s throats if they had no tutelary authority to keep them in fear and respect of acquired rank and condition. Later we shall see that, in spite of law and coercion, crimes continue to be committed; that the laws are powerless to repress or prevent them, since they are the result of the vicious organization which governs us; and that, consequently, we must not seek to maintain or to modify the laws, but to change the social system. But what makes us still more indignant is that certain persons are audacious enough to set themselves up as judges of others. So long as authority leaned upon its divine source, so long as justice passed for an emanation from God, we can understand that those invested with authority should have believed themselves peculiar beings, endowed by the divine will with a portion of its omnipotence and infallibility, and should have imagined themselves fit to distribute rewards and punishments to the herd of vulgar mortals. But in our century of science and free criticism, when it is recognized that all men are kneaded out of the same dough, subject to the same passions, the same caprices, the same mistakes, today when an agonizing divinity no longer comes to animate with its breath the ever fallible reason of mortals, we ask ourselves how it comes that there are men ignorant enough, or presumptuous enough, to dare to assume in cold blood and with deliberate intent the terrible responsibility of taking away another man’s life or any portion of his liberty. When in the most ordinary affairs of daily life we are most of the time unable to succeed in analyzing not only the causes which prompt our immediate neighbours to act but very often the true motives of our own acts, how can anybody have the self-sufficiency to believe himself capable of disentangling the truth in an affair of which he knows neither the beginning, nor the actors, nor the motives which prompted their actions, and which comes before the tribunal only after being magnified, commented upon, distorted by the misrepresentations of those who participated in it in any way whatsoever or, more frequently, have heard of it only through the repetitions of others? You, who pose as severe and infallible judges of this man who has killed or robbed, do you know the motives which prompted him? Do you know the circumstances of environment, heredity, or even chance, which influenced his mind and led him to commit the act with which you reproach him? You, the implacable men that hurl your anathema against the accused whom public force has brought before your bar, have you ever asked yourselves whether, if placed in the same circumstances and surroundings under which this man acted, you would not have done worse? If, even, you were the impeccable, austere, and stainless men you are supposed to be, you, who with a word pitilessly cut off human life and liberty, you would not dare to utter your decisions if you had thoroughly reflected on human frailty; were you conscious of what you are doing, you would recoil appalled before your task! How could you help being troubled with nightmares! How could your dreams help being peopled with spectres of the victims which your pretended justice creates every day! Were it not for that official unconsciousness which stupidity and habit give, you would end by succumbing to the weight of remorse and the haunting of phantoms evoked by your judgments. Our epoch of criticism and positive science no longer admits the principle of distributive justice, nor recognizes the legitimacy of a superior authority rewarding the good and chastising the wicked. Against this ancient doctrine, which the conceptions of the age during one period of humanity’s evolution rendered logical, we promulgate the opposite idea. We no longer see actions as good or bad, except as they are agreeable or disagreeable to us, and in consequence act accordingly. We approve or become enthusiastic, defend or attack, according to the benefit or injury received by our interests, our passions, and our conceptions of the ideal. The common need of solidarity which leads people subjected to the same attacks to unite for their defence is to us the guarantee of a future social order less troubled than our own. We do not judge, but work and struggle; and we believe that universal harmony will result from the free action of all men, when once the suppression of private property no longer permits a handful of persons to enslave their fellows. Hence we cannot admit that, six weeks or six years after an act has been committed, a group of persons supported by armed force should assemble to judge, in the name of some entity or other, and reward or punish the author of the act. That is hypocrisy and cowardice. You reproach a man with having killed, and to teach him that he was wrong you have him killed by the executioner, society’s hired assassin! The executioner and you have not even the excuse of having risked your own necks, since you proceed under cover of an armed force which protects you. We are at war with the ruling caste: recognize, gentlemen of the magistracy, that you are its retainers, and let us alone with your big words and fine phrases. Maintain the privileges whose care is confided to you, use the force which ignorance concedes to you, but leave justice in peace; she has nothing to do with you! That you might be able to judge appreciatively of the ignominy of your role in beating down others, we would like, O judges, that it might happen to you that, being innocent, you should fall into the clutches of your fellows, to be judged in your turn. In such a situation you might learn what anguish and terror they have had to pass through who have filed before your bar, and whom you have tortured, you, magistrates, as the cat tortures the mouse. With the floods of eloquence from the prosecuting attorney pleading against you rolling about your ears, you might see passing before your eyes the spectres of those unfortunates that, during your career, you have immolated upon the altar of social vengeance; you might ask yourselves then, with terror, if they also were not innocent. Oh yes, we would heartily wish that there might be one among you falsely accused, who should go through the terrors of those that come before your bar. For if, his innocence being one day admitted, he were reinstated in his functions, it is strongly to be presumed that he would re-enter his place in the tribunal only to tear his robe and apologize for his criminal life as magistrate, judging haphazard and trafficking in human lives.